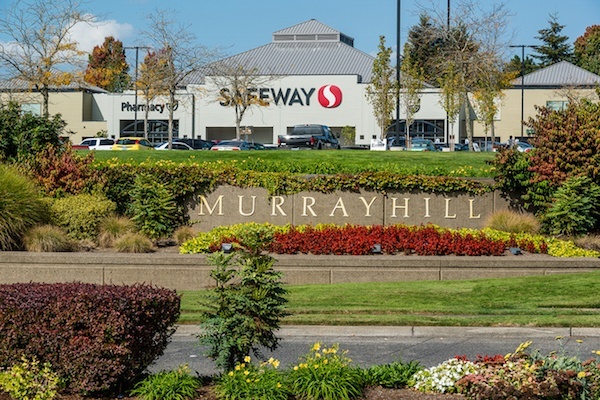 Murrayhill Marketplace has been a part of the Beaverton, OR community since 1988. The 148,967 SF center is anchored by Safeway and Planet Fitness and includes more than 44,500 SF of tri-level office space. 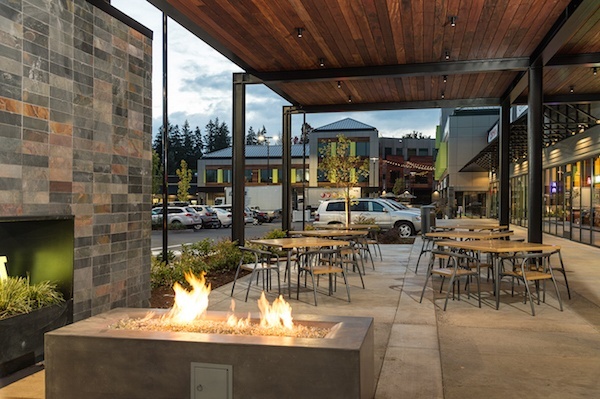 “Murrayhill Marketplace is in a great location accompanied with strong grocery sales, however, the property was old, tired and in need of a Fresh Look makeover,” said Craig Ramey, Regency Centers Managing Director, Pacific Northwest and Northern California. In 2015, enhancements to the shopping center’s visibility commenced, which included aesthetic upgrades that would appeal to its modern-day customers and attract new merchants. “Property management worked attentively alongside the community and the local homeowners association to gather valuable input and manage ongoing disruptions during the redevelopment,” continued Ramey. To create gathering spaces, Regency upgraded and expanded plaza areas throughout to include a new stage with water feature, canopies, creative lighting, and additional seating. A steel covered breezeway provides shade for restaurant patios and a gas-powered firepit warms guests in the cooler weather. Façade and signage improvements, along with a sophisticated renovation to its office suites, combine style with functionality. Once construction was complete, Regency held a grand reopening celebration event to express its appreciation to the community and the center's merchants throughout the construction phase. The event was also a way to reintroduce the center to the neighborhood and showcase its redesigned features. 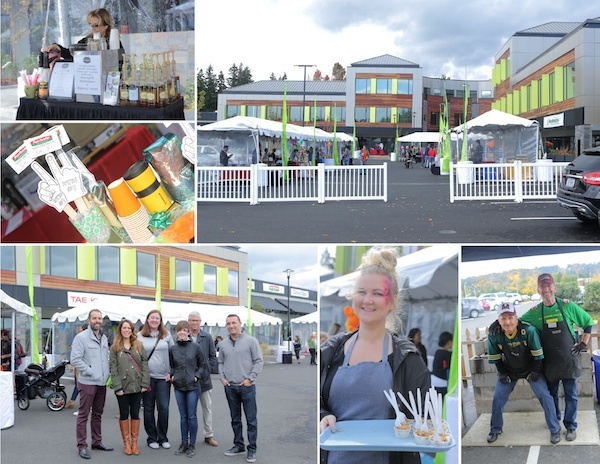 At the October 1 event, visitors enjoyed coffee and pastries from Pacific Perks, food samples from Hapa Grill, airbrush face painting, balloon art and live music featuring local band, A Sudden Tradition. Murrayhill merchants provided samples and entertainment, while guests entered for a chance to win a grand prize worth more than $400. The property is refreshed, inviting and well-positioned for long-term growth. Feedback has been very positive and the community is looking forward to new tenant openings.